You are all alone on the edge of the slope of the largest and most beautiful ski resort in Austria. 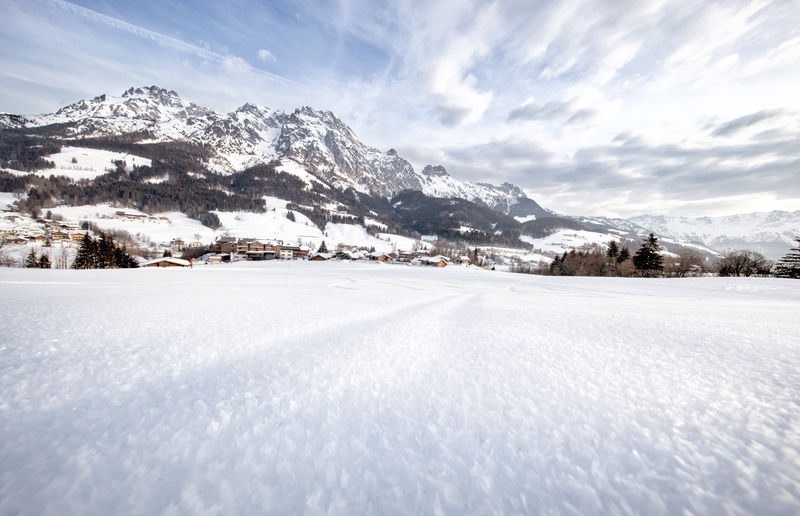 Surrounded by a picturesque snowy landscape, you anxiously await the day's first rays of sunshine which are already tentatively announcing themselves behind the snow-covered peaks of the Salzburg Alps. And then the magical moment arrives: a glowing explosion of light from a thousand rays of sunshine make the tiny ice crystals on the soft powder snow shine like diamonds. This is your silent starting shot! 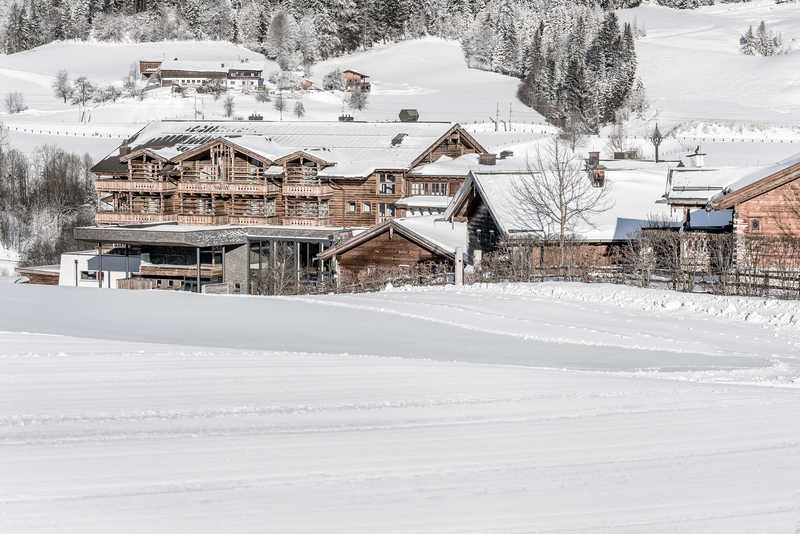 Thanks to the prime location of our ski in ski out chalets and hotel, it is just a short jaunt to the pristine slopes and fantastic fun skiing in Austria. Glide over soft snowy slopes, take on the well-prepared moguls, carve on freestyle and funcross trails, get an adrenaline rush at the snowpark, or experience the thrill of high speeds on the black World Cup slope. At the largest interconnected ski resort in Austria, every alpine sports fan will find happiness on an incredible 270 km of slopes. At the PURADIES ski in ski out chalets and hotel, we keep things simple. 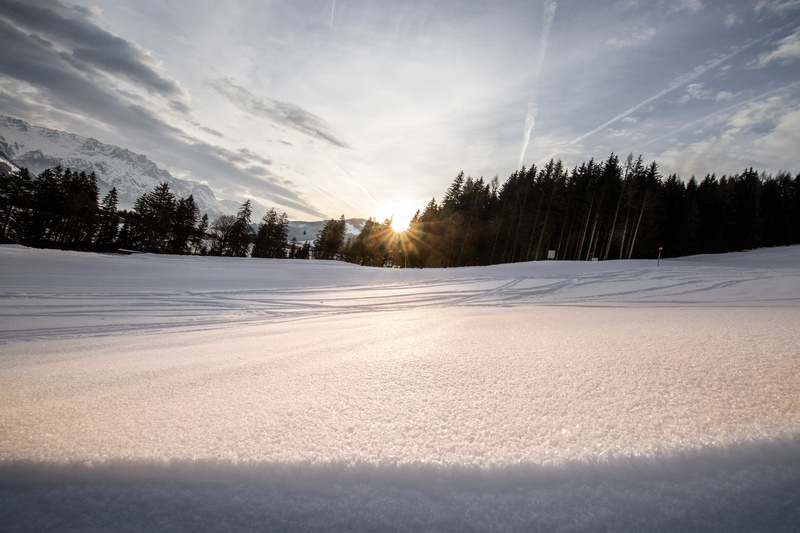 You won't need your car because you can go right from our comfortable ski storage room to our private ski run that will take you directly into the centre of the famous Skicircus Saalbach-Hinterglemm-Leogang-Fieberbrunn ski resort. End your day of skiing in Austria at one of the many romantic chalets nearby or take one of the three hotel slopes back to the comforting quiet of the PURADIES ski in ski out chalets and hotel. Here you can enjoy the beautiful panoramic views of the snowy Leogang mountains right from our cosy "FREIRAUM" bar and lounge. With the most hours of sunshine annually and a guarantee of snow, the Saalbach-Hinterglemm winter paradise is where you will find the best conditions for a relaxing day of skiing in Austria. 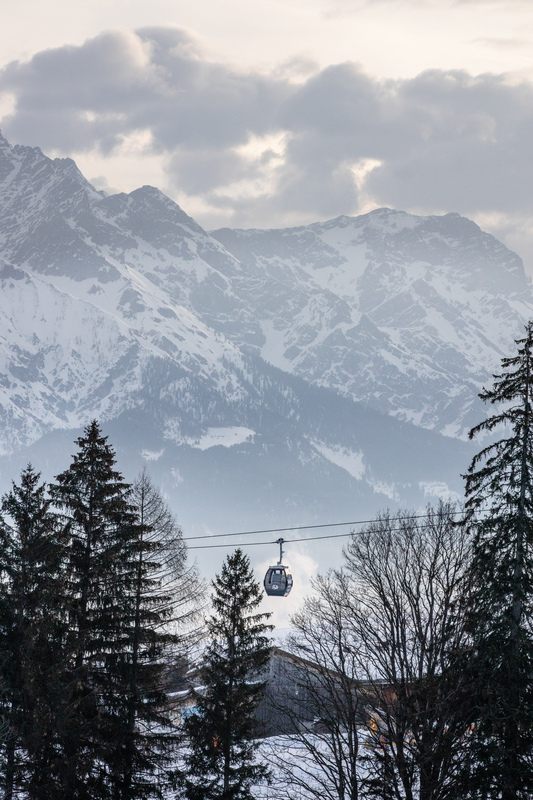 Comfortable high-speed chairlifts with heated seats and ski lifts take you to the perfectly prepared slopes of your winter dreams in no time at all. Breathe in the pure energy of the fresh, cool winter air in the mountains. Your mind will be clearer with every turn you take in the soft white snow. 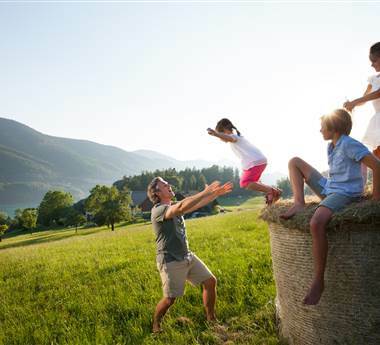 Experience the rattling of the wind in your face, the invigorating moments of complete remoteness and absolute freedom on the incredible ski slopes of the Skicircus Saalbach-Hinterglemm-Leogang-Fieberbrunn ski resort.